Town Restaurant at Fullerton Hotel Singapore welcomes guest Chef Frank Ho Chien Pin from Taiwan, as they collaborates for a week long culinary promotion from 10 April 2015 to 19 April 2015, adding an array of delicious Taiwanese specialties to the restaurant's dinner buffet. 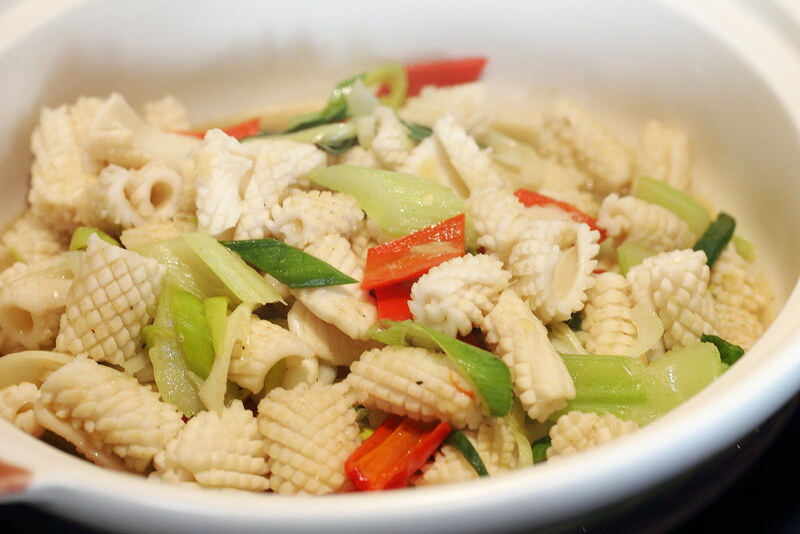 Chef Ho is currently an Associate Professor in the National Kaohsiung University of Hospitality and Tourism, Chinese Cuisine Faculty as well as restaurant consultant. 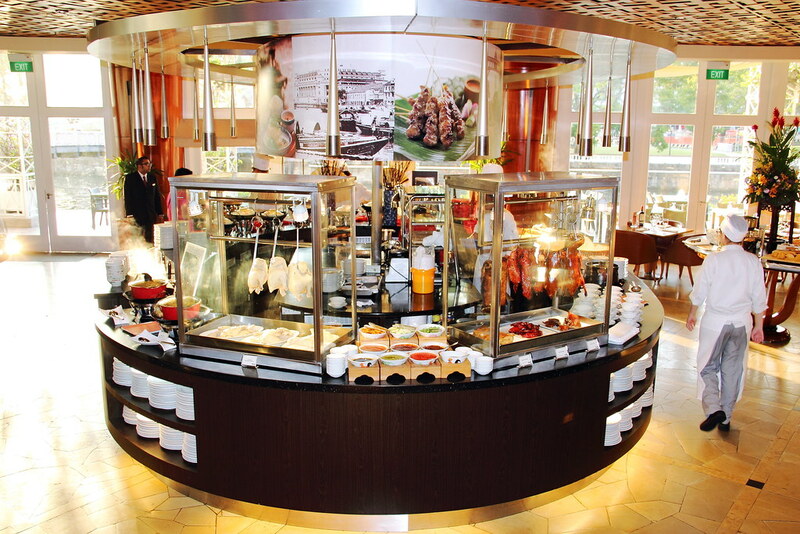 Armed with more than 47 years of experience in the culinary field. Guest at Town Restaurant during this period can savour a wide selection of over 30 authentic Taiwanese dishes under one roof on top of the local spread such as Laksa, Satay and Bak Kut Teh. During my visit, I managed to try some of the authentic cooked dishes from Taiwan such as the Yang Zhou Style Fried Rice with Shrimp and Char Siew, Stir Fried Noodle with Three Juliennes, Three Cup Chicken, Stir Fried Fresh Whole Chicken with Ginger and Sesame Oil, Stir Fried Pork with Scallion, Stir Fried Squid and Sauteed Oyster with Black Bean Sauce. 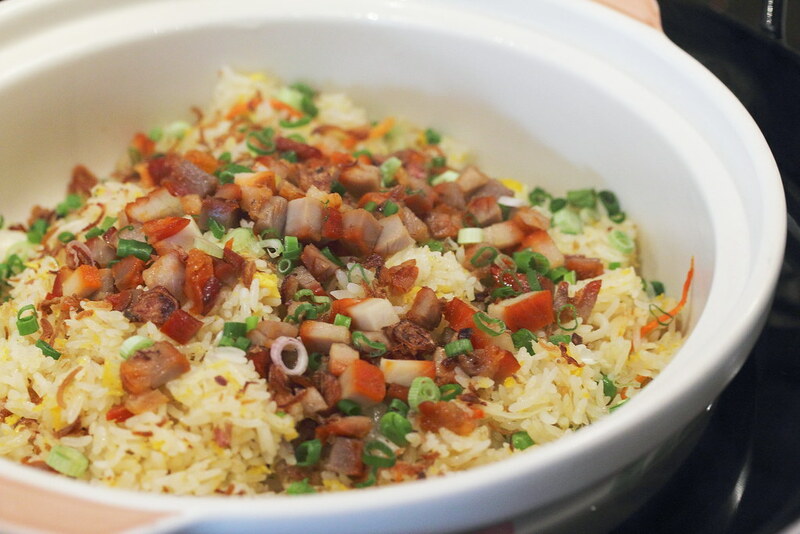 Among the cooked dishes I tried, the fragrant fried rice topped with diced char siew and shrimp was one of my favourite. Each grain of the rice is nicely coated and separated, not sticking to one another and most importantly not greasy. 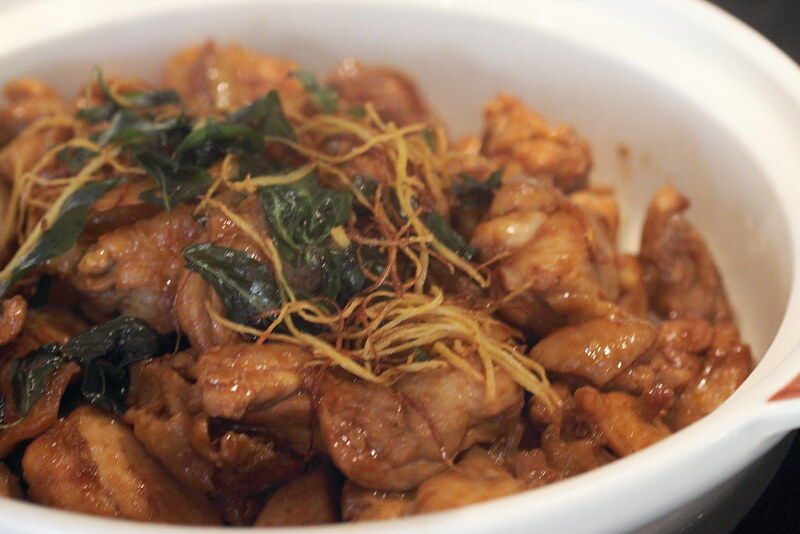 The added char siew and shrimp further boost the aromatic experience. 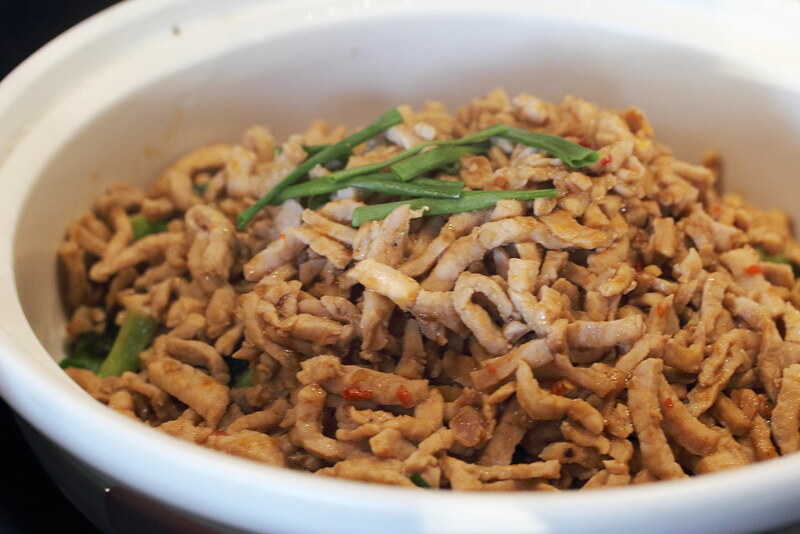 The other dish that stood out for me is the Stir Fried Fresh Whole Chicken with Ginger and Sesame Oil. 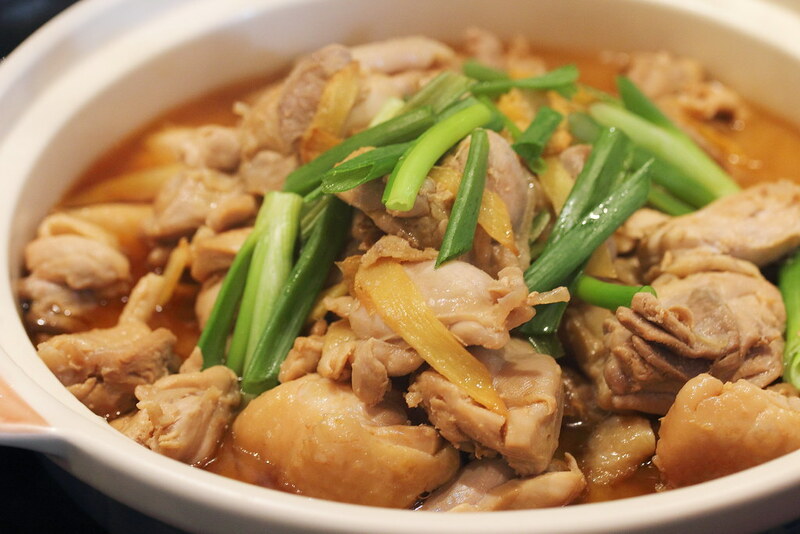 Perfumed by the aromatic sesame oil, ginger and spring onion, the chicken was cooked to a palatable tender bite. 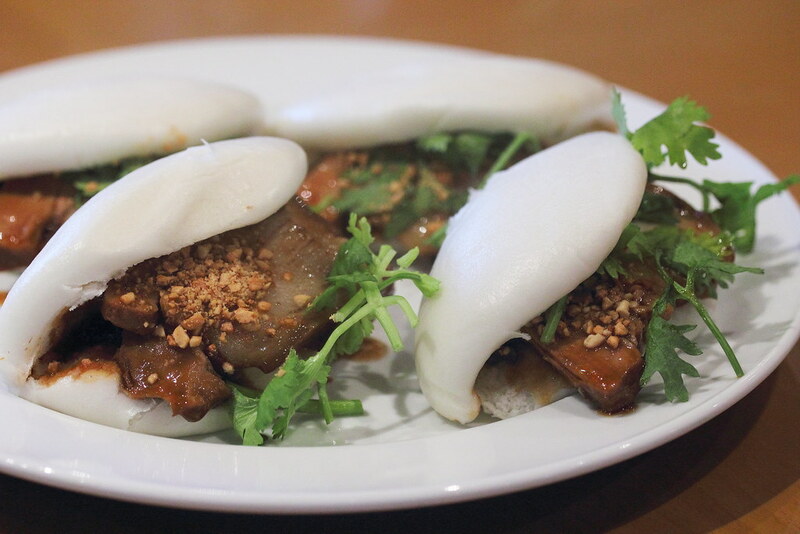 Another interesting dish to try is the Braised Pork with Steamed Bun and Pickled Mustard Green. 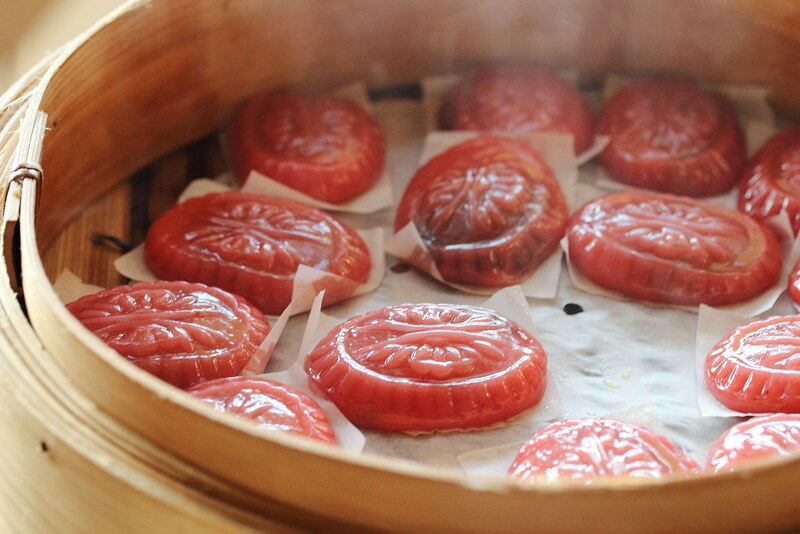 Similar to our local Kong Bak Pau, the additional of pickled mustard green and peanut provided extra layers of textures and flavours to the whole execution compare to the version we are more familiar. 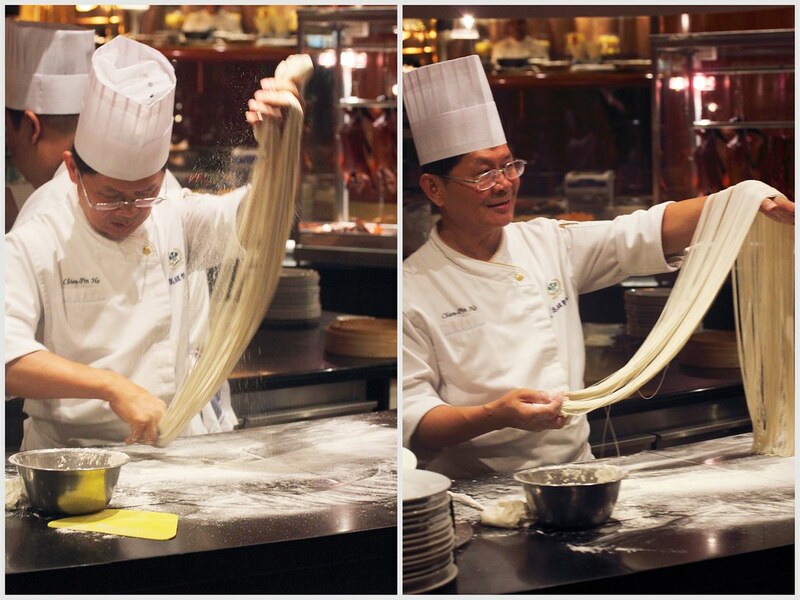 Chef Ho demonstrated his skill handmaking us the La Mian. He told us that on average it takes about 2 years to master the skill. Look at how skillful he is, just by using his fingers to provide the long strand of noodles. 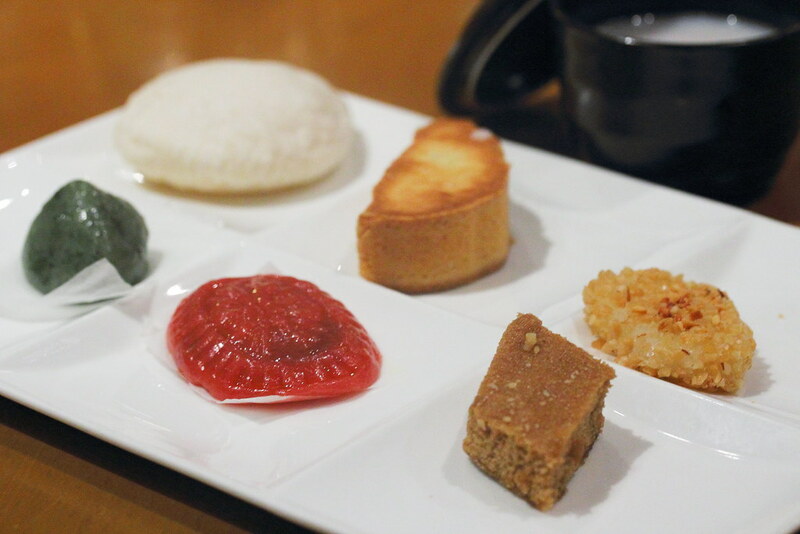 The Taiwan dinner buffet also comes with a selection of sweet treats such as the Penghu Black Sugar Steamed Rice Cake stuffed with Red Bean, Steamed Rice Cake stuffed with Pickled Mustard Green, Peanut Mochi, Pineapple Cake and Sun Cake. 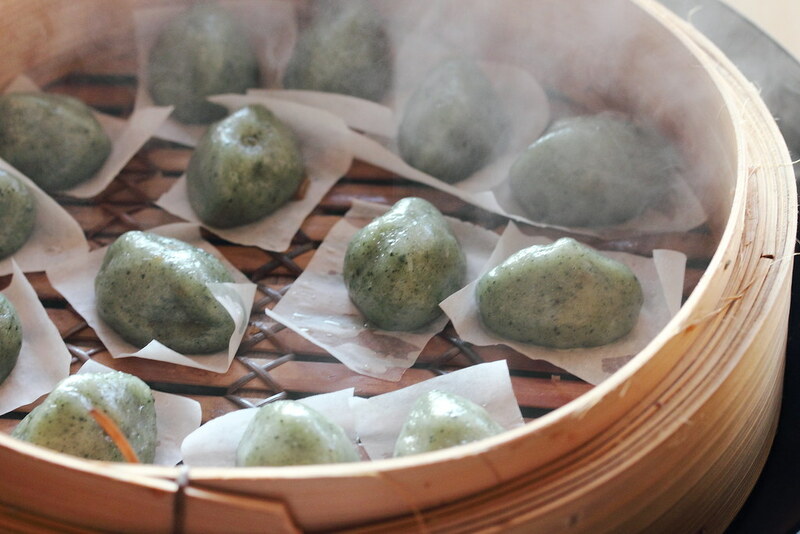 Among the 6 delicious treats, my favourite has to be the green coloured Steamed Rice Cake stuffed with Pickled Mustard Green. 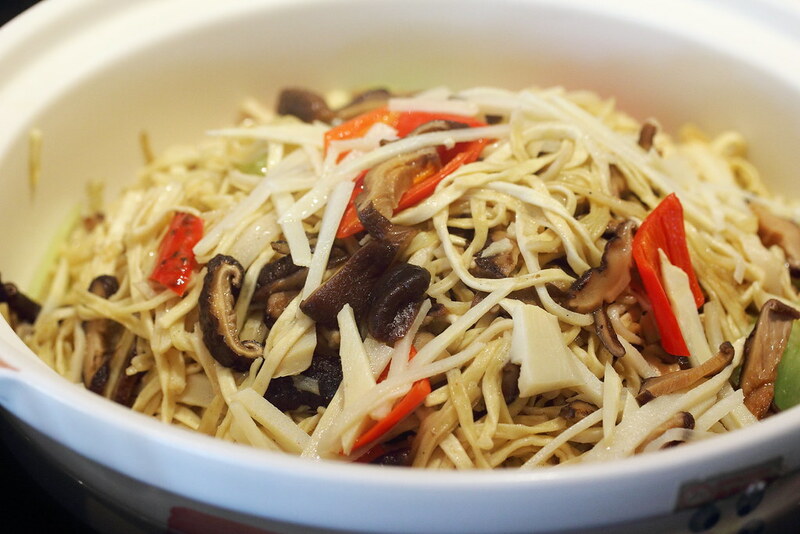 I like the savoury stir fried filling that has crunchy shreds of vegetables fragrant by the mushrooms and dried shrimps.